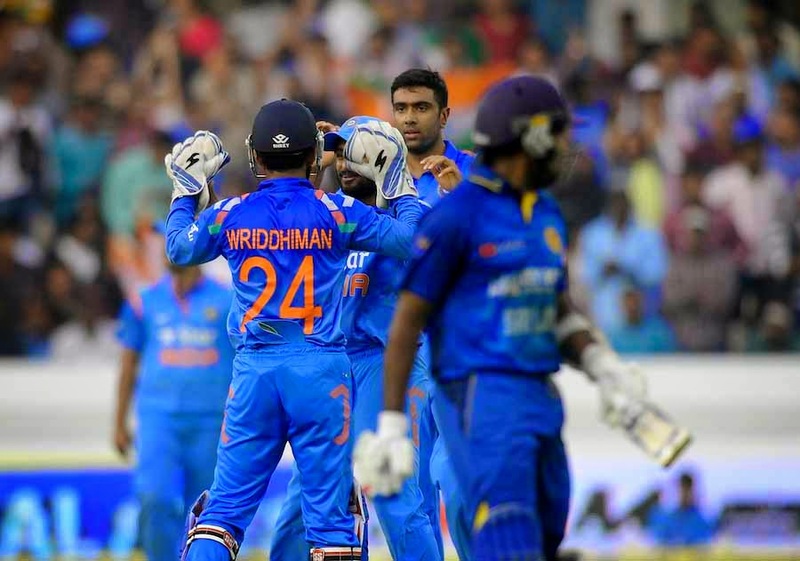 India registered a comfortable six-wicket win against Sri Lanka in the third One-Day International (ODI) to clinch the five-match series 3-0 at the Rajiv Gandhi International Stadium, in Hyderabad. Set a target of 243 runs, India coasted to the win in 44.1 overs, winning with 35 balls to spare. Opener Shikhar Dhawan played a stellar knock (91) and forged useful partnerships with Ajinkya Rahane (31) and Ambati Rayadu (35) to lead India to victory. Skipper Virat Kohli also contributed with a solid 53. Earlier, Sri Lanka were bowled out for 242 in 48.2 overs despite veteran batsman Mahela Jayawardene scoring a superb century (118 off 124 balls).